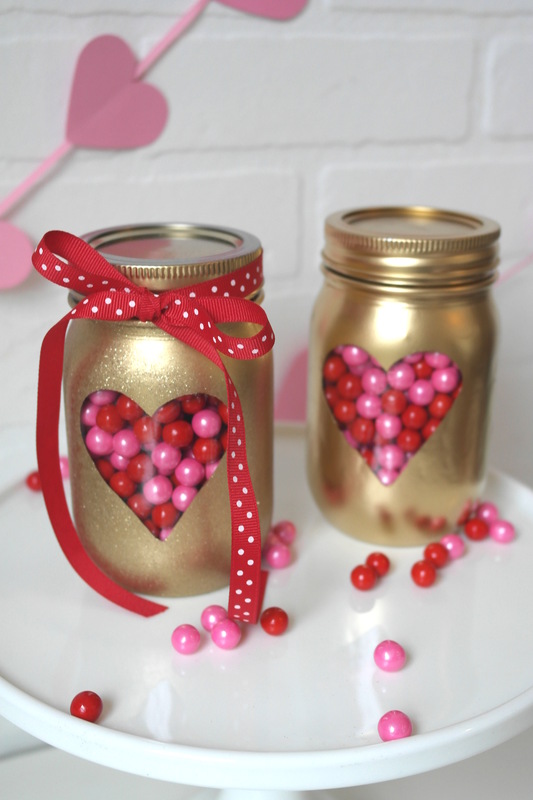 There’s no sweeter way to show someone you care than by making a homemade gift from the heart. 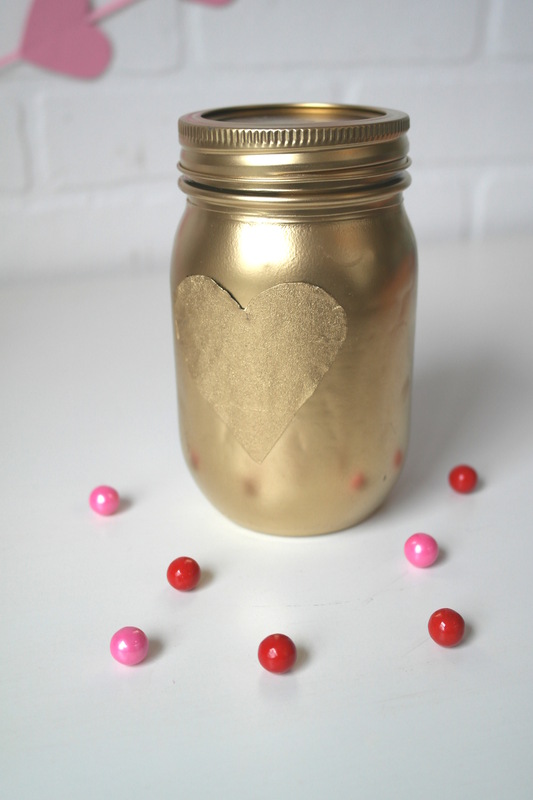 This simple DIY would make the perfect teacher or neighbor gift or would even be a fun way to decorate your home this Valentine’s Day! 1. Begin by tearing a piece of masking tape off your roll and placing it inside your heart punch and carefully punching your heart shape. 2. 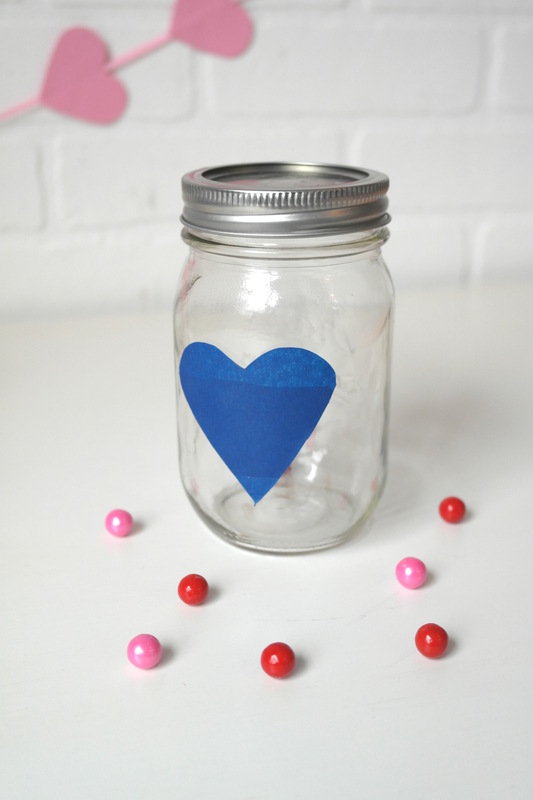 Firmly adhere your tape heart onto your clean and dry mason jar. 3. 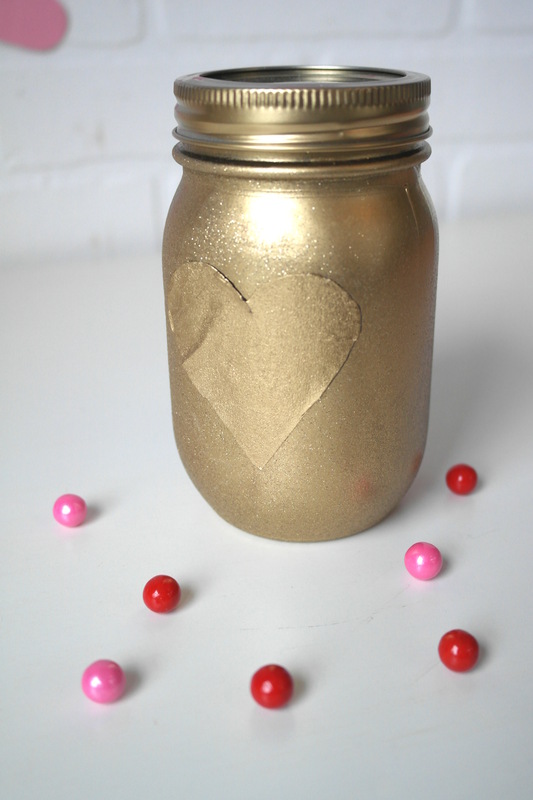 Use light and even strokes to cover your mason jar in gold spray paint. You will want to remove your lid and spray that as well. 4. 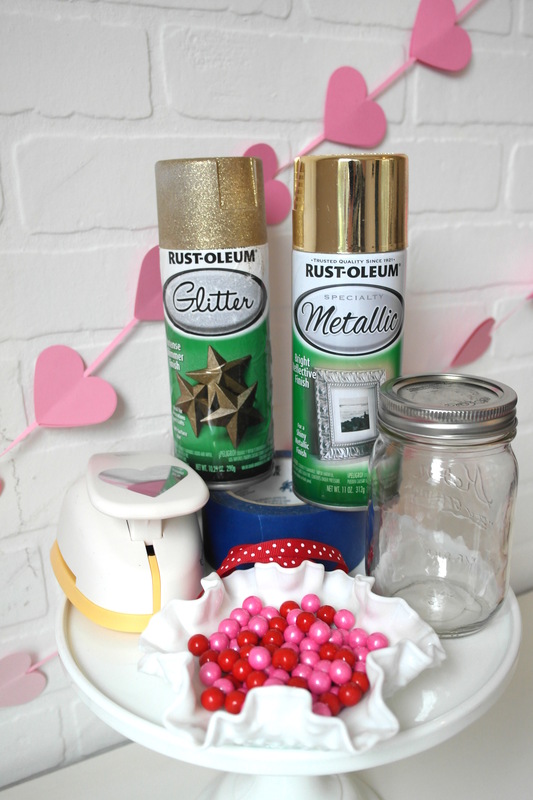 Once your coat of gold spray paint is dry, apply a layer of gold glitter spray paint for a little extra shimmer! 5. 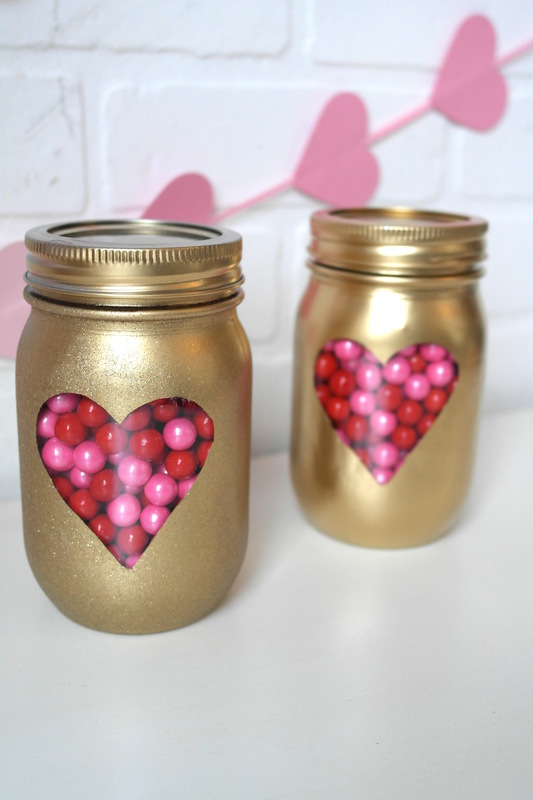 Once the gold glitter layer is dry to the touch, carefully remove your tape, leaving a crisp heart shaped window! 6. Next, prepare your candies. 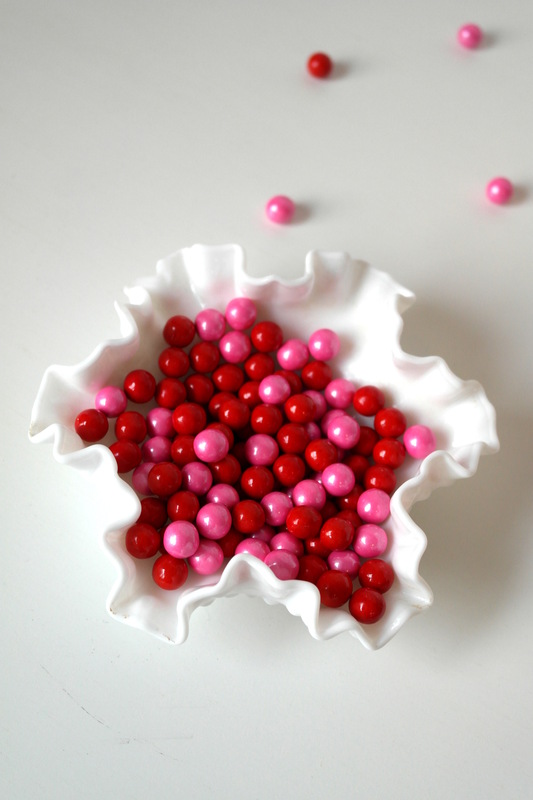 We combined red and pink shimmer Sixlets for a fun Valetine’s mix! 7. 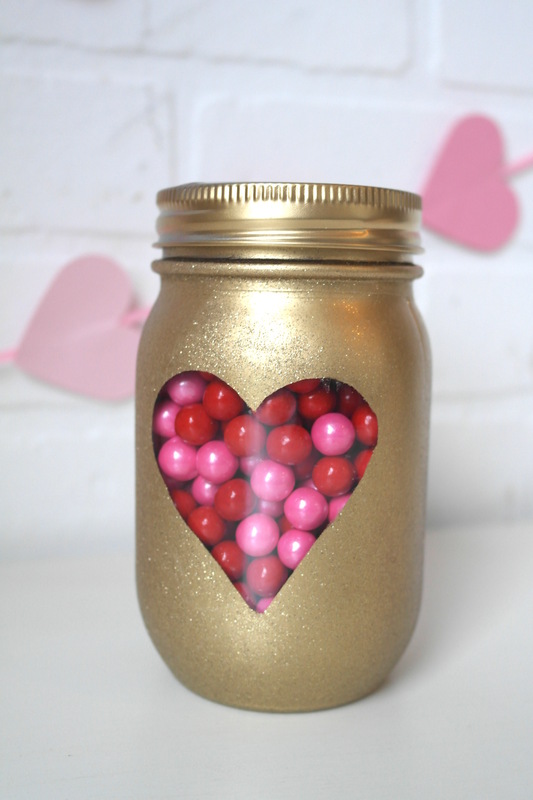 Place your candies into your freshly painted jar and seal it with the lid. 8. 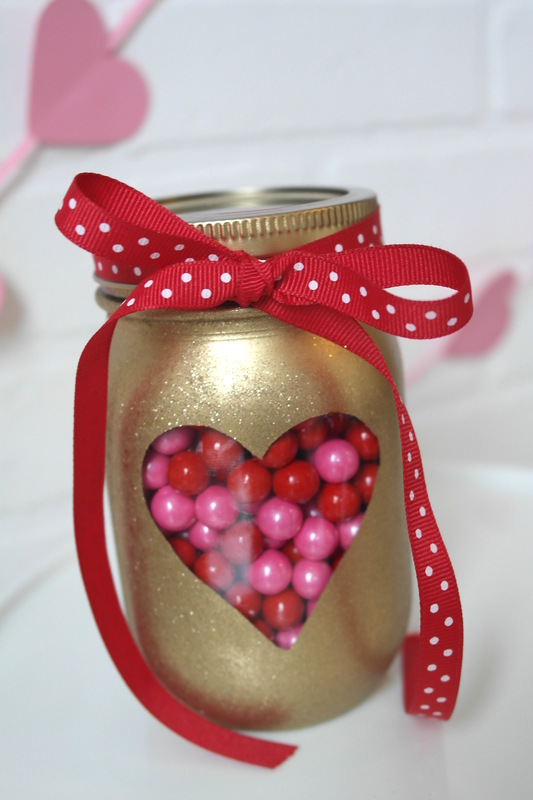 You can easily do more than one jar for teacher, class gifts (using plastic mason jars) or for your neighbors! 9. 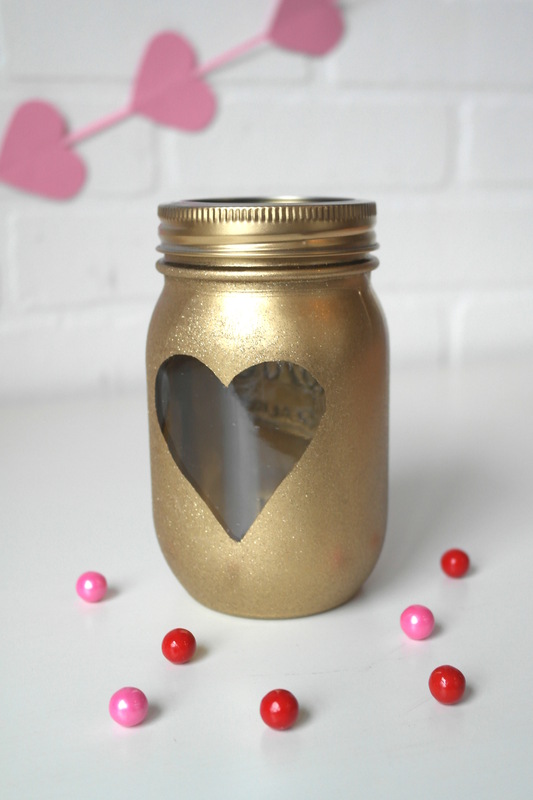 Dress up your mason jar by adding a pretty themed bow. You now have the perfect crafted Valentine’s day treat! What better way to fill the season with love and joy that to create something homemade and special for someone you care about! 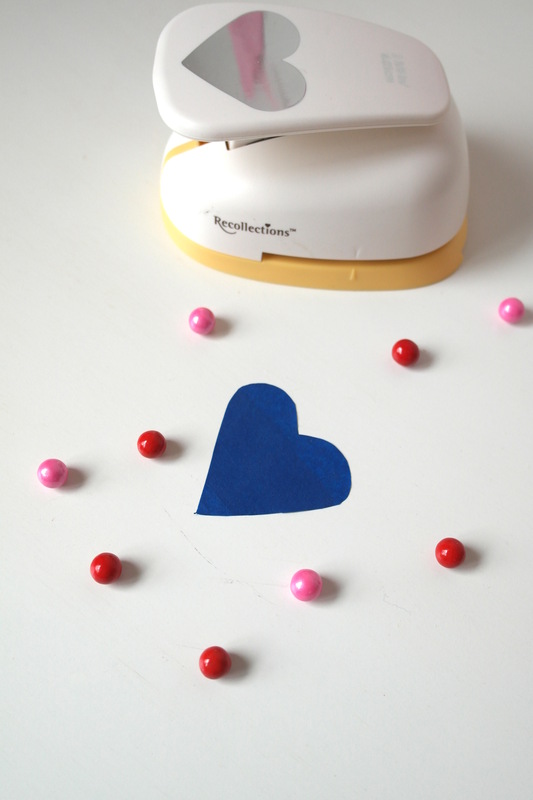 We shared this adorably easy DIY in the most recent issue of Ella & Annie Magazine! You can find the latest issue here! What a cute idea, I have a ton of Mason jars to try this on. i so love these! The window concept is adorable. Thanks for sharing! These looks so easy and fun! Love these! Lots of possibilities here! What a cute idea! Love it! Pinned and tweeted. We love to party with you, so I hope to see you tonight at 7 pm. That would be so awesome.